In the early 1980s, American Airlines’ goal was to increase retention and provide their clients with something extra special. The airline created the first frequent flyer program that allowed travelers to accrue miles and gain benefits when they flew with American. American Airlines was one of the first companies in the country to offer a customer loyalty program. It set the standards for the entire industry. Since then, loyalty programs have gained significant popularity. According to a recent study, companies spend more than $2 billion on loyalty programs every year. Statistics show that the average American household belongs to about 14 different rewards programs. If you want to increase your retention rate, it is a great idea to offer your clients a loyalty program that will keep them coming back. 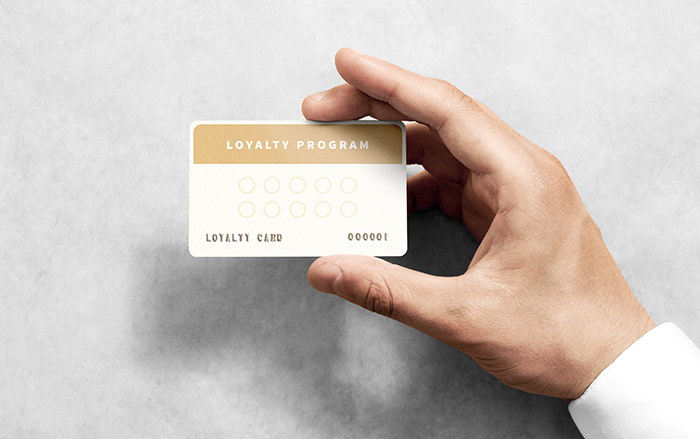 What type of loyalty program should you offer? A. Charge a fee to join the loyalty program. You are giving them the $150 enrollment back in value. This allows you to raise cash flow, and encourages the new member to visit the spa on a regular basis. As part of the loyalty program, the client will benefit by receiving a small discount with each spa visit. B. The second plan offers clients a chance to join for free and earn points with every visit. You can reward them by letting them earn one point for every dollar they spend. Once they reach a certain number of points, they can use them toward gifts, services or products. You will need to determine the amount of rewards you are willing to offer. For example, if someone spends $500, they will earn 500 points. If you wish to offer them a 10 percent reward, you will need to select a $50 prize that they can have once they reach 500 points. This represents a 10 percent reward. If you are offering this type of loyalty program, I recommend you offer merchandise as a reward because your cost will be $25, but the client will receive a value of $50. This practice allows you to decrease your loyalty cost to a five percent reward instead of 10 percent. The point system can also be used as a marketing tool. If you have some slow slots within your schedule, you can reward your clients with double points on slow days or hours. Instead of offering discounts, offer double points for promotions. You can ask your clients to write reviews to earn points. Or, let them earn points when they “like” your page on Facebook, and so on. Keep in mind that no matter which program you offer, you have to market it, track it and deliver a great guest experience. Offering a loyalty program is a great opportunity to promote your business and recognize your VIP clients with special value while motivating your clients to keep doing business with you. Implement a loyalty program and increase your retention! Dori Soukup is the Founder and CEO of InSPAration Management, a firm specializing in medical spa and salon business development, advanced education, and business tools. Throughout the past 15 years, Soukup has contributed to the success of spa companies worldwide. Her passion is developing innovative, effective educational programs and business strategies leading to exponential growth and profits. She is the recipient of the American Spa Preferred Educator award and is a sought-after global speaker within the spa and medical spa industries. Do you own or work for a med spa in California? If so, this is important news. 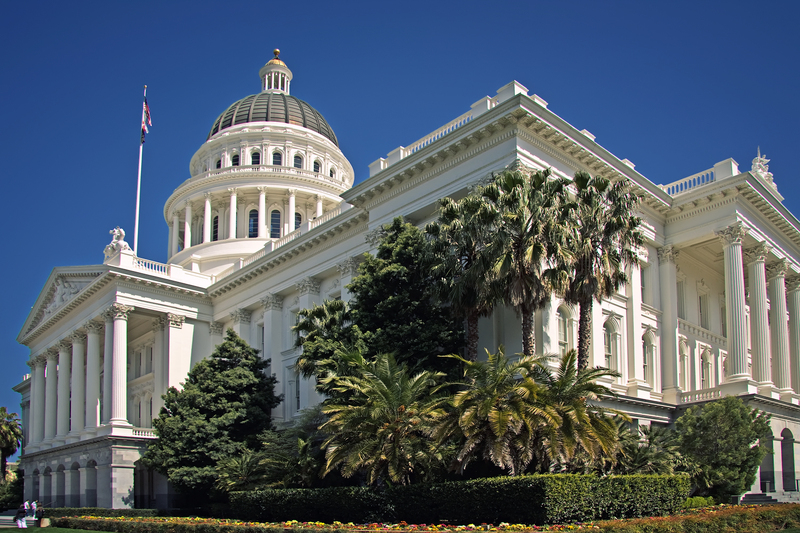 Just two months after California passed their new sweeping consumer privacy law, the California Legislature has passed an amendment to the act that was submitted to the Governor on September 12th for signature. The original bill, the California Consumer Privacy Act of 2018 (“Privacy Act”), was signed into law on June the 28, 2018, creating the strongest protections in the nation on collecting and using consumer’s information (please see our previous article here for more details on the Privacy Act). As written, the Privacy Act would require substantial compliance efforts for businesses working with California residents. The amendment makes many changes and clarifications to the Privacy Act, and several will be beneficial to medical practices. The most beneficial change for medical practices is the Privacy Act now does not apply to health care providers to whom the rules of HIPAA or California’s Confidentiality of Medical Information Act apply, so long as the practices maintain patient information in the same manner as they are required to maintain protected health and medical information. Protected health information and medical information covered under those laws were already exempted in the original law. A second helpful change for medical practices is that the disclosure to consumers of their rights of deletion no longer needs to be on the website or in the privacy policies. Rather, it now only needs to be “reasonably accessible to consumers.” Previously, this would have necessitated medical practices making major updates to their websites to be compliant. The amendment also narrows the broad definition of personal information covered by the law. Previously “personal information” included a laundry list of types of information, ranging from biometric data to employment information. Unfortunately, the laundry list still remains, but is limited only to data that is capable of being associated or linked with a particular consumer or household. This is helpful as it exempts aggregated demographic and trend data. While the Amendment may have eased the burden of compliance for medical practices, it has not removed it. We are hopeful that most of the nuts and bolts compliance concerns will be fully addressed in the Attorney General’s forthcoming rule interpretation. Consistent with the amendment, the AG must release its rule interpretation by July 1, 2020. However, since the Privacy Act itself becomes effective January 1, 2019, medical practices will need to be mindful of how they are treating consumer information before the Privacy Act takes effect. Substantial processes and changes may still needed by medical practices to be compliant. Bad outcomes and patient injuries in medical spas are appearing in more and more headlines across the country. It is evident to many who work in the medical spa industry that there are a number of grey areas in the rules and regulations that govern it, and that certain unscrupulous medical spa owners and operators exploit these inconsistencies while sacrificing quality patient care to make money. Media pieces highlighting these bad actors in the industry are appearing with increasing regularity, and even the Doctor Oz show recently highlighted “Rogue Med Spas” that endanger patient safety. These reports express the industry’s problems to the public and, when the public catches wind of a health issue, you can bet that local, state and federal regulators will need to address it sooner or later. AmSpa members can check their state’s medical aesthetic legal summary to find the laws governing their practice. Stories such as the Doctor Oz report are not positive for the medical spa industry, but they’re not necessarily hatchet jobs, either—many medical spas are, in fact, operating illegally, and untrained, unqualified employees are burning patients with lasers, among other potentially serious violations. 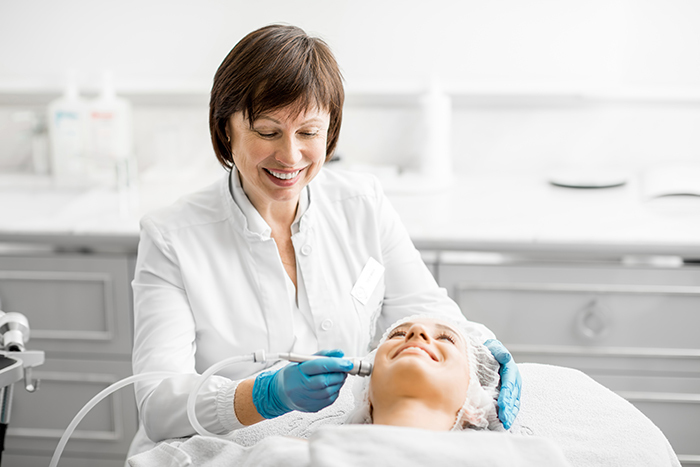 Medical spas and laser centers have become so popular—and so profitable—that some owners and operators rush to open them and, as a result, they are often not properly formed and not compliant with state and local statutes. Traditionally, there has not been a great deal of enforcement of these violations, but this is changing. Medical spas have become so prevalent that state regulatory agencies simply cannot ignore them anymore. As is seen in the rise of media coverage of these issues, patients who suffer unforeseen outcomes will not hesitate to complain to the media. Personal injury attorneys have also picked up on the trend—you may have noticed television commercials and print ads calling for clients to sue medical spas and laser centers. The story is out there, and it only takes one aggrieved patient to cause a medical spa’s world to come crashing down. Although it is undeniable that there is a certain level of non-compliance that exists in the medical spa industry, medical spa owners and operators need to be asking themselves how they can start becoming an industry that regulates itself, so that they don’t have these types of continuing issues with state regulators. To start on the road to compliance, medical spa owners and operators should take the following steps. Know the law. While there are grey areas, many answers can be found in state’s practice acts with just a little bit of searching. Reach out to local health care attorneys for evaluation. Most medical spas only contact a lawyer when they’re already in trouble, not at the front end where the lawyer can help prevent trouble down the road. Work toward understanding. You goal should be to understand the basic core principles regarding medical practice and realize that, while this is a lucrative industry that is often quite safe, there is still some level of danger. AmSpa pledges to continue its efforts to educate medical spa owners and operators to make sure that they are operating in compliance with the law. It also aspires to educate the public in order for them to understand the difference between a medical spa that is compliant and one that is not, as well as inform them about what the treatments offered by medical spas actually entail. 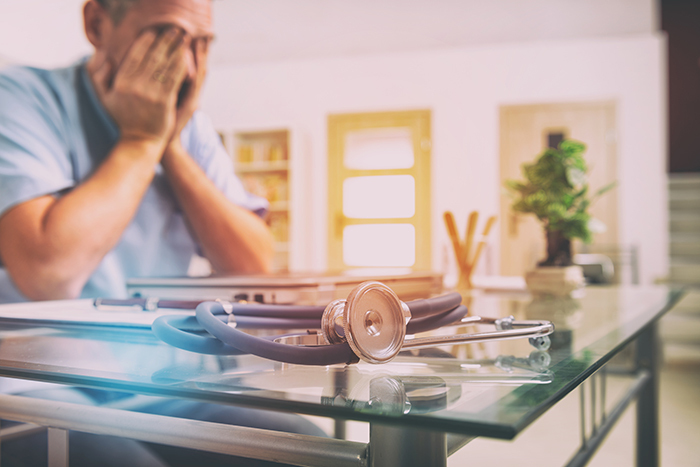 AmSpa is also pushing for standardization of laser training across the industry—in some states, there are no training requirements, and a lack of proper training can lead to outcomes such as the ones that Doctor Oz aired to the general public. The industry needs to come together to discuss how it should be regulated, as it is clearly growing and is not going away. There is some guidance in the laws as they are written, but the states do not do a particularly good job in educating the public about what they say and mean. Still, enforcement is ramping up, and medical spa owners and operators must be properly prepared in order to comply and avoid more negative media coverage in the future. Attend an AmSpa Medical Spa & Aesthetic Boot Camp to learn how to build and run your medical spa to be profitable and compliant with all of the laws in your state. Negotiating for any business, including a med spa, is not easy. Most prefer to avoid confrontation and that preference has its virtues. At the same time, however, that general mindset can result in a tendency to cave during negotiations. It does not mean that one should be provocative and confrontational during negotiations as such a stance may have adverse results. However, holding your position, even when you believe you may not have the bargaining power, can yield surprising results. Time after time, I see parties give in far too easily on a particular term or position when it’s not in their best interest. 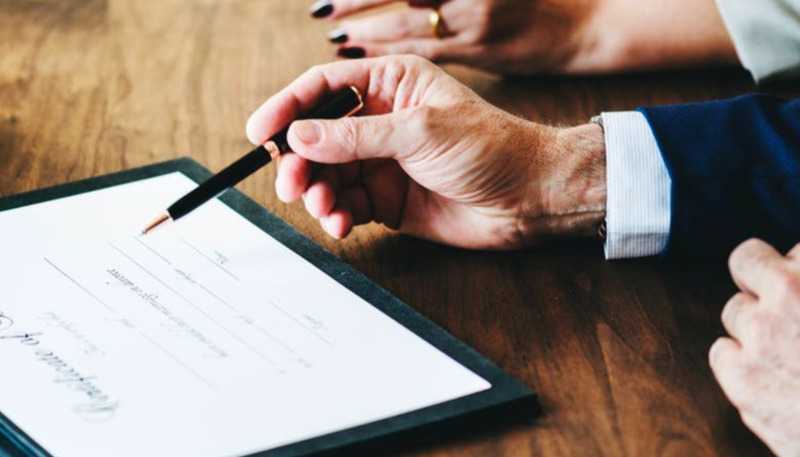 This often occurs after discussing the matter informally with the other side (i.e., no legal counsel present for either side) and accepting verbal assurances that in reality mean very little when the language of the contract will be controlling. Bargaining power is established by many variables, including the size of the respective parties, norms of the industry to which the contract relates, the alternatives available if negations fail, and current market forces in terms of supply and demand for the goods or services being negotiated. One thing is clear though, you can obtain more bargaining power than you think by being willing to walk and find an alternative if the other party is unreasonable in demanding one-sided, onerous terms. I have been pleasantly surprised on occasion when a client holds their ground on certain positions and we ultimately obtain better terms than expected. The only downside is that you may actually have to walk and find another vendor, lender, or location to lease. Nevertheless, this may result in a better deal provided you are seeking terms that are generally reasonable. start with the mindset that you will walk if you cannot obtain reasonable terms. Of course, this will not apply in situations where you don’t have an alternative and you must consummate the particular transaction. For the most part, however, you will gain substantial bargaining power when you are as willing to walk away from the table as you are to consummate the transaction. In this space a couple of weeks ago, I wrote about the need for self-regulation in the medical aesthetic industry. In that piece, I mostly focused on how medical spa owners and operators can help the industry by observing certain standards that AmSpa is helping to develop. However, the need for self-regulation is not limited to practitioners—it extends to equipment and device manufacturers, as well as clinical training facilities. After an AmSpa Boot Camp or a consultation where I detail the legalities of laser use, for example, I’m often approached by attendees who say, “I was trained by a laser manufacturer, and they didn’t tell me any of this stuff.” What I’ve found is that there are a lot of people out there who give a lot of disparate information and, oftentimes, it’s not accurate and it leads people to believe that they can do things that legally they cannot do. We at AmSpa have been working very hard since the organization’s inception to educate not only medical spa owners and practitioners, but also the industry as a whole. If everyone knows the laws under which they operate, everyone can be on the same page. AmSpa works with many laser manufacturers that have listened to us and acted in very responsible ways. However, I’ve also heard countless stories from people who were told by manufacturers or training facilities that they can do something that they plainly cannot, and they feel like that is unfair. This is not just an AmSpa problem or a medical aesthetic practitioner problem—it is an industry problem. The entire industry need to be on the same page. Every member of the industry needs to buy into the same set of standards, and we all need to be teaching the people who work in the industry the same thing. It makes no sense and does nobody any good to, say, take a long laser course and learn to perform treatments if a practitioner cannot legally administer them. Therefore, AmSpa is calling on the entire industry—not just medical spa owners and practitioners, but also device manufacturers, drug manufacturers, and training facilities—to start taking compliance seriously, because it’s the only way for the industry to evolve in a positive direction. Everyone wants to succeed and make money, but if the industry is overly regulated due to negative outcomes and people acting in bad faith, it will be extremely difficult for the industry to become better and larger than it already is. I’m looking forward to discussing self-regulation with everyone at forthcoming AmSpa Boot Camps. We will be in Orlando next week for our final Boot Camp of 2018, and our just-announced 2019 itinerary includes stops in Los Angeles, Chicago, Atlanta, Seattle, Dallas, New York and Orlando. Click here for more information and to sign up for a Boot Camp near you. We’ll also be discussing this matter at the Medical Spa Show in Las Vegas in February 2019. Click here to learn more about this year’s agenda and event … it shouldn’t be missed! Corporate Practice of Medicine: Living or Dead? Many states prohibit non-physicians from owning medical practices either directly or through a business entity. This is known as the Corporate Practice of Medicine doctrine, which AmSpa has previously discussed here. The concern these states have with corporate practice of medicine is that the non-physician control will interfere with the physician’s professional judgement in the physician-patient relationship. Whether or not that fear is founded, it has resulted historically in many states forbidding the practice. AmSpa members: To see what your state’s policy is please your state legal summary. Over time, the practice of medicine has evolved and become more complex and interconnected. Physicians no longer practice with just a bag and a stethoscope. They render medical services through a team of professionals and specialists who utilize an array of advanced machines. This complexity and interconnectedness has weakened much of the original motivation for the prohibition against medical services being delivered in a corporate structure. Often, these prohibitions are seen more as a hindrance than an aid to effective care. There has been a general trend to move away from or weaken this prohibition. This has taken the form of passing statutes that affirmatively allow corporate practice or remove the restrictions. On one end of the spectrum, you have states similar to Alabama, which does not prohibit physicians from being employed by a corporation as long as the physician is free to use his professional judgment in making medical decisions. This is evidenced in their statutes and opinion letters from the attorney general’s office. You also have states such as Idaho where the board of medicine previously adhered to the doctrine. However, in 2016, they affirmatively rejected the doctrine and would no longer discipline their licensees for practicing in a corporate structure. On the other end of the spectrum, you have states such as California. The state statutes clearly prohibit the practice of medicine by corporations and the California Medical Board actively polices and enforces it. The California Medical Board even offers a resource page of their website to address the subject. These states and others like them provide medical spas with clear information on the types of business structures permitted. Other states may have lax or infrequent enforcement of their prohibition. Wisconsin is an example: the state laws clearly prohibits laypersons from employing physicians to provide medical services as outlined in a Wisconsin Attorney General letter available here. However, there appears to be no recent history of enforcement actions for violating this rule. Wisconsin isn’t alone; many other states have infrequent enforcement of their corporate practice rules. This can create a lurking issue for people wanting to open a medical spa. 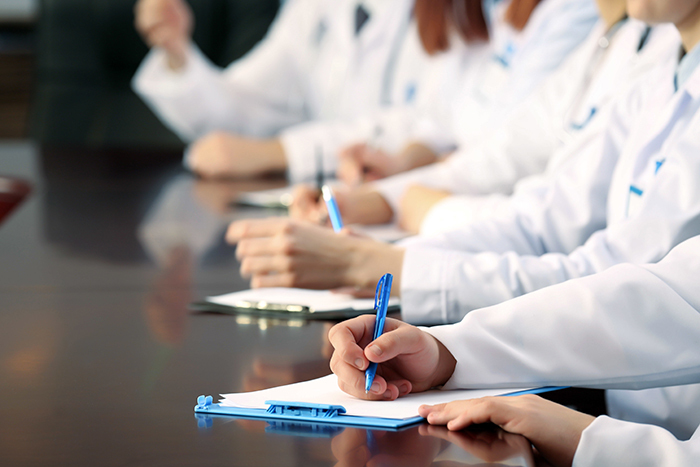 Those preparing to enter the medical spa field may look around and see examples in their state of non-physicians hiring on medical directors or partnerships between doctors and non-doctors. Depending on the state, these arrangements may be completely fine or they may be in violation of that state’s laws. Where there is lax or infrequent enforcement by the state’s attorney general or the medical board, a medical spa may go years without issue. However, the risks still remain. Future attorney generals or medical board members may change their policies and begin aggressively bringing enforcement actions. Or, if the medical spa or physician is brought to their attention for other reasons, the corporate structure may result in additional penalties or discipline. The improper business structure could be used as a challenge to contracts in disputes among business partners. Just like you still wear your seatbelt even though you don’t plan to be in a car accident, having the proper corporate structure for a medical spa is important, even if no one has recently gotten in trouble over it. As the aphorism on ounces of prevention goes, taking time to structure your medical spa correctly at the beginning can be good insurance against possible future issues. If you would like to learn more about medical spas business structures and other legal issues please consider attending an upcoming AmSpa Boot Camp or the 2019 Medical Spa Show. What’s the first thing most people will know about your med spa? The name! The strategy in naming and branding your business can have a major impact on building goodwill and a contributing factor in the success of your business. You will want to differentiate yourself from your competitors and standout, especially if you’re facing a saturated market place. Clients frequently seek legal counsel to protect their business’s name and to further understand if their business name may also serve as the basis for a trademark. While a business or trade name is somewhat of a different animal than a trademark from a legal perspective, there are parallels between the two concepts in terms of what strengthens or weakens a business or trade name and a trademark. Entrepreneurs routinely select very descriptive names for their businesses and trademarks. From a legal protection perspective, however, this can be problematic, as the applicable laws are not designed to protect descriptive or generic names or terms. Stated differently, the names or marks in these instances tend to exactly describe the services or products being provided. For example, you have developed an amazing line of unique and organic cupcakes so you name your business Laura’s Organic Cupcakes or Organic Cupcakes of Texas. If you want protect the name and keep others from using the same or a similar name or mark, these are probably the worst choices for a business name or trademark. Marks that identify or describe a product or service, are in common use, or are used as geographical indications generally cannot be registered as trademarks and will remain in the public domain for use by anyone. Descriptive trademarks can only be registered if they have acquired distinctiveness after years of continued use and recognition by consumers. Generic terms used to refer to the product or service itself, however, cannot be registered or protected as trademarks. An entrepreneur should resist the compulsion to describe the goods or services they are offering when selecting a name or trademark. Instead, create a name or mark that is novel and unique. An excellent real-life example of a strong mark consistent with our hypothetical above would be Sprinkles®–a well-known and successful bakery that focuses on cupcakes. Before you spend a lot of time and money selecting a name or mark for your new business or paying a graphic designer to develop a logo to go with the name, you should speak with experienced legal counsel. Otherwise, you may experience the same frustration many others have faced when they are told their business name or mark can’t be registered or otherwise will be afforded little to no protection. For more ideas on how to build a profitable and legally compliant medical spa attend an AmSpa Medical Spa & Aesthetic Boot Camp and be the next med spa success story. Medical spas must use marketing best-practices to succeed, but must also be aware of common patient privacy issues that could leave the practice in hot water. All of a medical spa’s operations must be overseen by both an innovative business eye and a careful, meticulous medical eye. 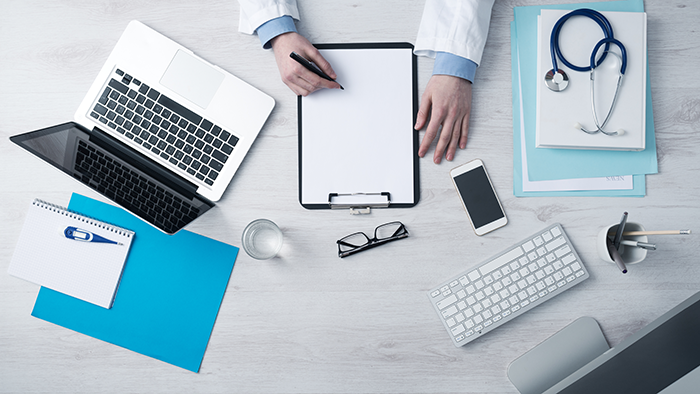 When it comes to marketing, these two perspectives can clash and, if this clash breaches patient privacy, the business can be hit with severe penalties. Fines for violating the Health Insurance Portability and Accountability Act of 1996 (HIPAA) can be huge, and most states have patient privacy laws that are even stricter than the federal standard. Patient information can include—but is not limited to—email addresses, birth dates, social security numbers, and treatment information. Even the fact that a patient is being treated at your facility can be considered private information. This is not to say that you shouldn’t engage in marketing; you absolutely should. Digital marketing and social media in particular are cost-effective ways to increase the reach of your business. Problems arise when the drive to grow your client base mixes with the unfamiliarity of or neglect of laws and regulations. Publicly reaching out to a patient. Engaging with clients is a central tenet of social media marketing. You want to create a sense of connection and community. You must remember, however, that in a medical spa your customers are also patients. Commenting publicly to a client on social media in order to thank them for coming in, or reminding them of a future appointment, or discussing their treatment in any way are all potential breaches of that patient’s privacy. Responding to comments whether positive or negative. This is risky for the same reasons as listed previously. If patients comment about an experience they had at your business, responding to them can be seen as breaching their privacy, and responding to negative reviews can be especially risky. If, in your response, you inadvertently reveal any private information, then not only do you have a customer who is angry with you, but you also have a customer that can report you for a privacy breach in an industry where investigations from regulators are largely driven by customer complaints. The Washington Post looked into this issue earlier in 2016 and made note of several situations where responses landed businesses in regulatory hot water. “The consumer complained to the Office for Civil Rights within the U.S. Department of Health and Human Services, which enforces HIPAA. The office warned the dentist about posting personal information in response to Yelp reviews.” The Post further notes that the Office for Civil Rights, “is currently investigating a New York dentist for divulging personal information about a patient who complained about her care, according to a letter reviewed by ProPublica.” Do yourself a favor and don’t respond to negative reviews. Publishing photos without proper consent. Before-and-after photos are a powerful method of attracting new patients. Without the proper signed consent forms, however, you cannot publish patient photos to your website, blog, social media, or any other platform. Additionally, if you post photos of your facility or an event at which you’re offering treatments, you should be very careful to ensure you are not publishing a photo showing any patient in the background who has not signed a consent form. The No. 1 rule when mixing marketing with medicine is you must be informed. The defense, “I didn’t know what the law was,” never works. Medical spas are governed by several different licensing boards and a slew of individual laws that vary from state to state, so be sure to consult a health care attorney (preferably with experience with aesthetics) that is familiar with the laws in your state. Know the regulations that apply to your business, and err on the side of caution. As far as concrete things you can do, keep the following in mind. For treatment reminders and thank-yous, a personal email or phone call should be used in place of reaching out via social media. Consent forms are a necessity when displaying any photography of patients or of medical procedures on any platform, and be sure to note that traditional consent forms for before-and-after photos are not necessarily sufficient for using photos on your social media channels. The best ways to fight bad reviews are providing superior patient care and encouraging your happy customers to post positive reviews. 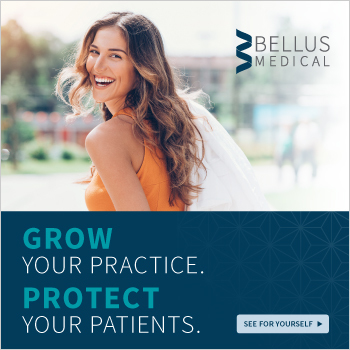 Also, keep in mind that once you understand what you need to do to protect your patients’ privacy in your marketing, you must train your staff to do the same. Your staff must know the regulations as well as you do, since you will be on the hook for any breach. 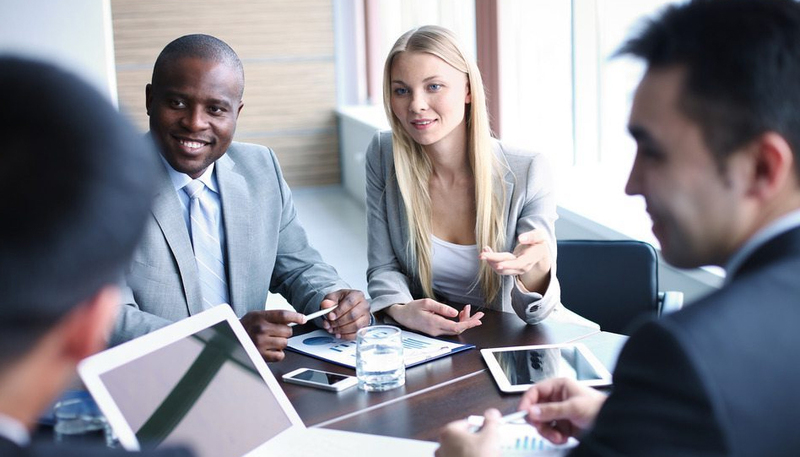 Establish marketing procedures and guidelines, have them in writing, and make sure your staff knows them backward and forward. Retaining patients is one of the keys to medical spa success, and VIP programs can be a huge driver for repeat visits. Loyalty rewards programs are used by some of the most successful businesses including GNC, American Airlines, and most of the credit cards we carry these days. We do not have to reinvent the wheel when it comes to these programs. Offer clients acknowledgement and value added incentives for being your best clients and they are more likely to keep doing business with you on a more consistent basis. At your med spa everyone’s a VIP (Very Important Partisan, that is). That’s why it’s important to have a Very Important Partisan (VIP) program to create loyalty among your most frequent patients. According to the 2017 Medical Spa State of the Industry Report, only 39% of medical spa practices have VIP programs in place to retain their most loyal clients. Data collection will begin soon for the 2019 Report and we want to hear from you, so keep an eye out and help us define data in the medical spa industry! With the Internet and competition it’s more important than ever to keep your hard-won clients shopping with you, since it can cost three to five times MORE to win new patients than to retain your existing ones. Have them earn points for each service they enjoy and each product they purchase. For every 50,000 points they earn, clients receive a “store” credit worth $50 to spend on services, products, or gift cards. 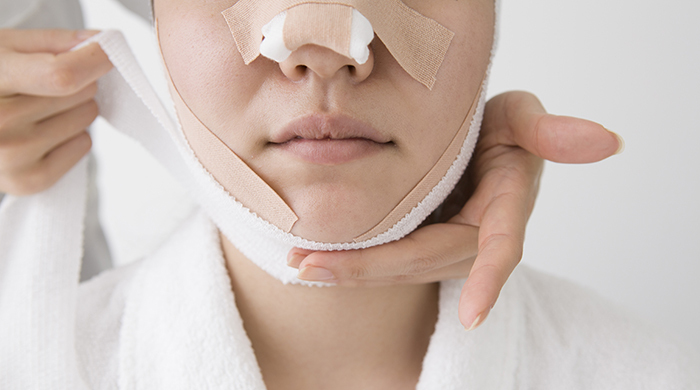 Be careful, however, of offering rewards for referrals for med spa procedures because of laws regarding fee splitting. Earning VIP Points – Omni-Channel Earning Clients who interact with you on more than one channel such as receive your newsletter, come to the practice, and follow you on social media typically will spend 18-36% more than clients who just visit for services. Like and or follow on each of your social media pages Facebook, Instagram, Twitter, Pinterest – 500 points earned for each page. Pre-book their next appointment at time of checkout – 2,500 points earned. Your system needs to automatically track the points they’ve earned. They can check their balance by asking your concierge, looking at the top of their receipt at checkout, or logging in to their online account (if available). Once they’ve earned 50,000 VIP Points, you automatically send them an email alerting that they have earned a points reward. This requires that they have a valid email address in your system and that they have not opted out to email communication. 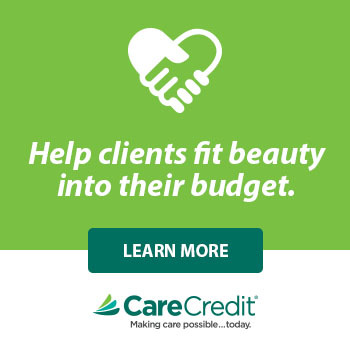 When they check out of their appointment at the clinic, just alert the concierge to offer if they would like to spend their points and then credit the transaction $50. Your clients are automatically enrolled in your VIP program from the first time they make a purchase at the Med/Spa. VIP points expire two years from the day that they were issued. So, if they haven’t reached the 50,000-point threshold within those two years, the points may expire. Points will be awarded at the time of check out. For example, if they refer a friend they will get their points when he/she checks out at the clinic. If they pre-book an appointment, they will earn those points when they check out of that appointment, not when they schedule it, etc. VIP points may not be redeemed for cash. No double dipping! Some purchases may not earn points. For example, they won’t earn double points if they buy themselves a gift card and use it on their own purchase. If the spa suspects abuse or other behavior, it can reserve the right to terminate the enrollment in the program. VIP points are non-transferrable, but they may purchase a gift card with their VIP points to give to a friend. The med/spa reserves the right to terminate or modify the program at any time. Clients may not earn points on purchases or services made using third party gift cards or tender. Card is only valid for cardholder. Card must be present to accumulate points. Points cannot be earned from previous purchases. Only the cardholder’s purchases are valid towards point accumulation. Points are not awarded on shipping charges or sales tax. Product returns and other financial adjustments will be deducted from their total points. Because there is a savings don’t offer VIP points for gift cards purchases that result in earning a bonus gift. Enjoying treatments at the med spa may be habit forming, resulting in lower levels of stress, increased wellness, and moments of extreme contentment. The Med/Spa has created valuable benefits to reward our most loyal guests and thank you for your patronage, support and trust. The Med/Spa VIP program provides you with additional opportunities to make your experiences at our Med/Spa more valuable. View your additional opportunities for saving below. 10% discount on gift card purchases during the months of Jan., Apr., Jul. and Oct. The VIP program renews annually upon each client’s enrollment date. You will need to create signage and information about your program to create awareness among your team and client base. Signage can involve large posters throughout the business, station and treatment room signage, POP displays, and flyers for the retail bags when purchases are made. A banner across your website promoting the program is a good idea! Other marketing tools to promote the program are business newsletters and e-mail marketing to your data base. Additionally, you can offer your team member incentives for each VIP membership they sell. For the Front desk, you can offer an override to the team based on total sales. Why Is It So Hard to Find Legal Answers in This Industry? We at AmSpa and ByrdAdatto are constantly asked for information regarding the legalities of the medical aesthetics industry. Every day, we hear from professionals wondering, for example, why a registered nurse can perform one procedure but not another, or why a licensed vocational nurse can inject one substance but not another. Providing information such as this to industry professionals is the reason why AmSpa was started in the first place, but we often get pushback from people who question our conclusions or wonder why, if the law is what we say it is, no one is following it. The truth of the matter is that finding legal answers in the medical aesthetics industry is not easy, and there are numerous reasons why. Certain conversations regarding the legalities of the industry happen over and over again. For example, I will explain to someone about the requirement that a physician, physician assistant, or nurse practitioner perform a face-to-face exam of a patient before a laser treatment or filler injection, and the person with whom I’m speaking will say that can’t be true—nobody does that. If that were the rule, they say, you could shut down every medical spa in the state. But it is true, it is the rule, and yes, you probably could shut down most medical spas in any given state if you had a mind to. The medical aesthetics industry is unique for a few reasons. First of all, everything is elective, so you’re marketing to people who choose to undergo a particular procedure rather than require it. Also, medical spas do not deal with insurance—it is a cash-based industry. Because of these factors, medical spas have to engage in marketing in ways that more traditional medical outlets don’t typically have to consider. As a result of this emphasis on marketing, non-physicians play a key role in the health of these businesses. For example, a registered nurse who is a phenomenal injector can be the person patients come to see, as opposed to the physician. This is a much different dynamic than you are going to find anywhere else in the world of medicine. Additionally, medical aesthetic practices have to deal with multiple practice groups, including medical boards, nursing boards, and boards of cosmetology. And because the medical aesthetics industry is so new, many of these agencies are dealing with the issues raised by its practice for the first time. Essentially, the industry is being governed by laws that are not designed to govern it and people who are largely concerned with more pressing issues. For example, representatives of a nursing board probably don’t have many thoughts about CoolSculpting, since much of their time is spent dealing with pressing matters such as opioids. They have so much going on that they can’t reasonably be expected to understand the nuances of the medical aesthetics industry. When AmSpa researches the laws that apply to medical aesthetics practices in a particular state, we start by looking up what we can in the state’s legislation, but nine times out of 10, these laws’ application to medical aesthetics situations is tangential. They’re typically written to deal with other areas of medicine and nursing. Therefore, the boards’ interpretation of these laws with regard to medical aesthetics is of the utmost importance. If a board has no published opinion on a matter, that doesn’t necessarily mean that it doesn’t have an opinion—it just means that they have not yet presided over an incident that has caused them to issue an opinion. When you’re dealing with multiple boards with multiple opinions, it complicates things further. All this makes AmSpa’s job very difficult. Much of the time, we have to take what we know about the laws and the boards and try to pinpoint what a ruling would be. When we say, “This is what we believe the rule is in this particular state,” it’s probably not taken directly from legislation, because that legislation likely doesn’t exist. We can, however, combine precedents with our legal knowledge to give you the best read on the situation possible. Our attorneys have been researching these decisions for years. They have gone before nursing boards and medical boards to argue cases, and they have talked to officials about these issues. This is how we find out this information. It’s very difficult, but we’re confident that our attorneys offer our members the best possible information. For more information about med spa laws, become an AmSpa Member to schedule a complimentary initial consult with our partners at ByrdAdatto.